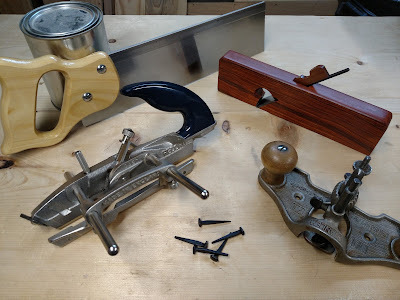 All for $750 with the Record 044 Plow or $800 with the Record 045c Combination Plane which adds beading, tongue and groove, and dado functions. Pick up free in the Pittsburgh area or plus shipping to your address. If interested please click my name in the byline under this post to be taken to my profile and email there. Design by Debra Ostrander: www.debraostrander.com. Powered by Blogger.